As we officially enter into the spookiest month of the year, it’s time to break out all the cobwebs, pumpkins, skull decorations “boo” signs and Halloween accessories. Halloween is one of the most fun holidays in the year, so live it up and let your inner ghoul reign! 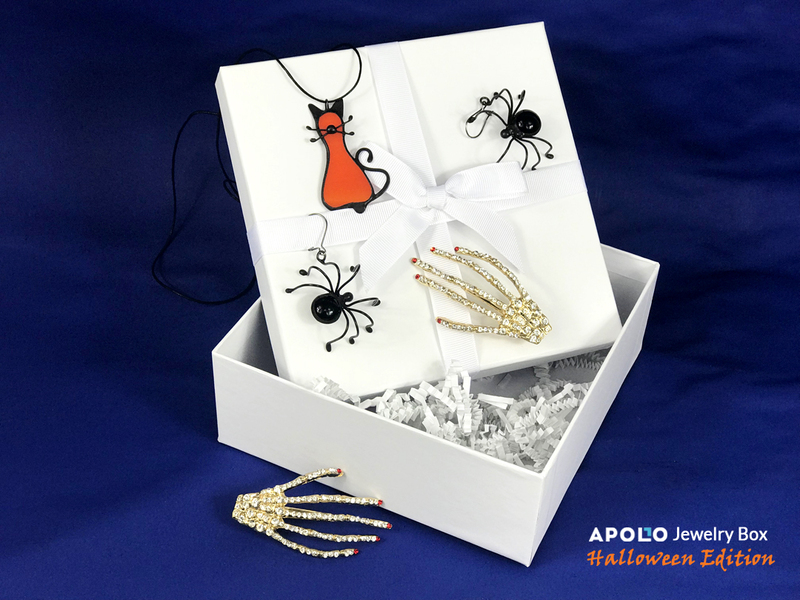 To celebrate this time of ghosts and elaborate costumes, Apollo Surprise Box and Apollo Jewelry Surprise Box are going to include a unique Halloween surprise in all our boxes for the month of October. 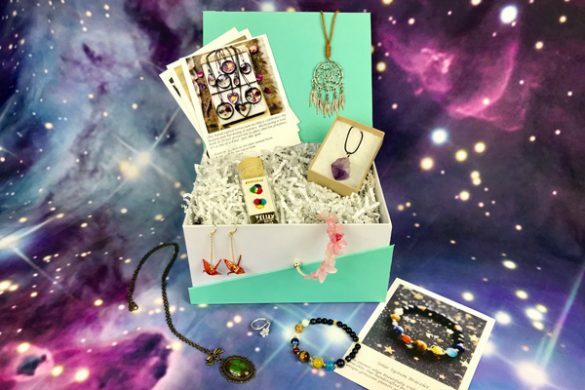 Scroll down to see what type of gifts you could receive in your Apollo Surprise Box or Apollo Jewelry Surprise Box this month, and how both of these subscription boxes can help you out during the holidays and birthdays. 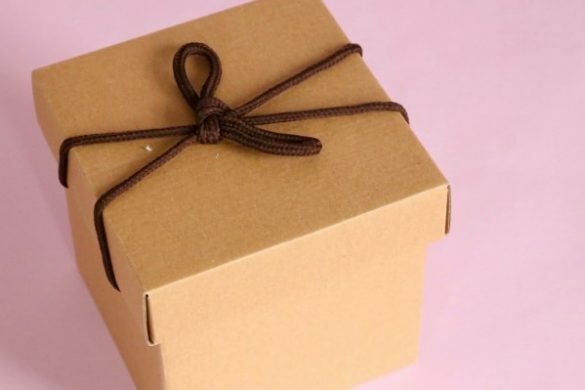 If you’re a Apollo Surprise Box member, than you already know that every item in your box is handpicked according to your likes, interests and style. 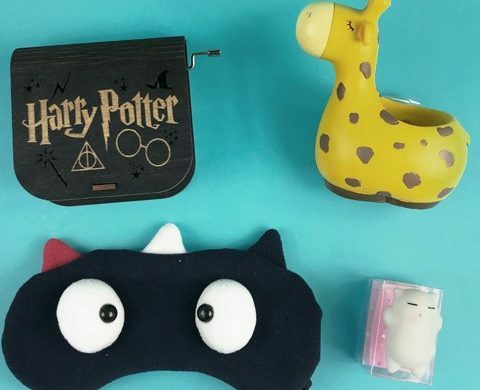 Your box this month will still play by those rules and include cool and unique gadgets. The only difference is that one of those items will be Halloween themed. Below are a couple Halloween surprises you might get this month. 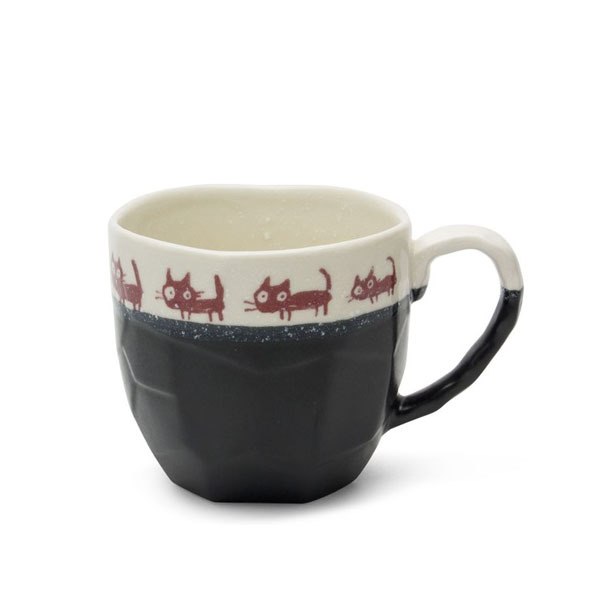 This Cat Walk Mug has all the things you love about boulder style mugs including a fun design with a big handle to get your paws in. Each cat is hand drawn and make you smile as soon as you see this cute and quirky mug. 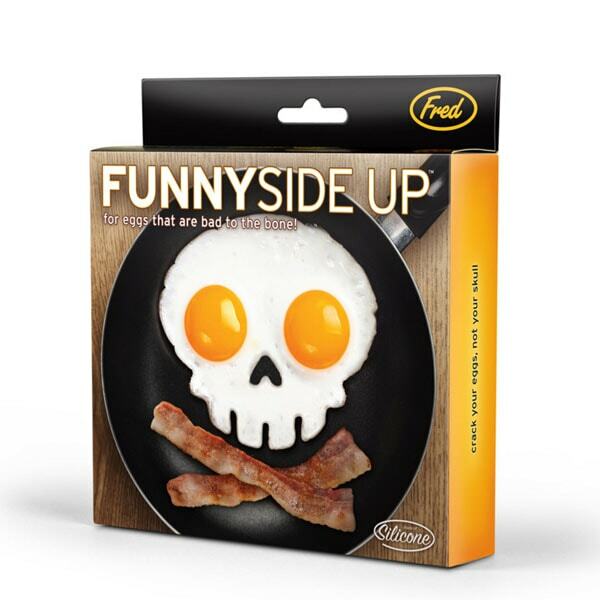 Start your day on a cool note and take your eggs “Bad to the Bone” style. 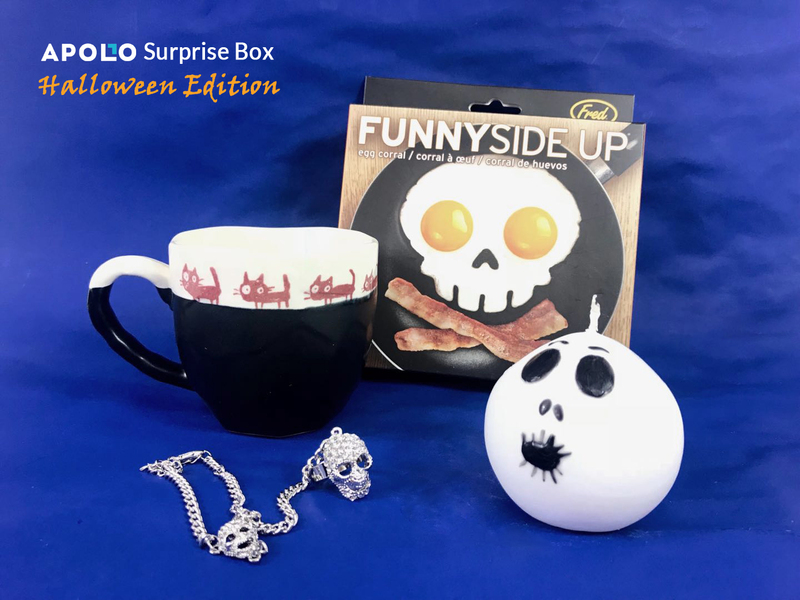 Use this fun egg mold to have an Instagram worthy breakfast and kick off the morning with a laugh. 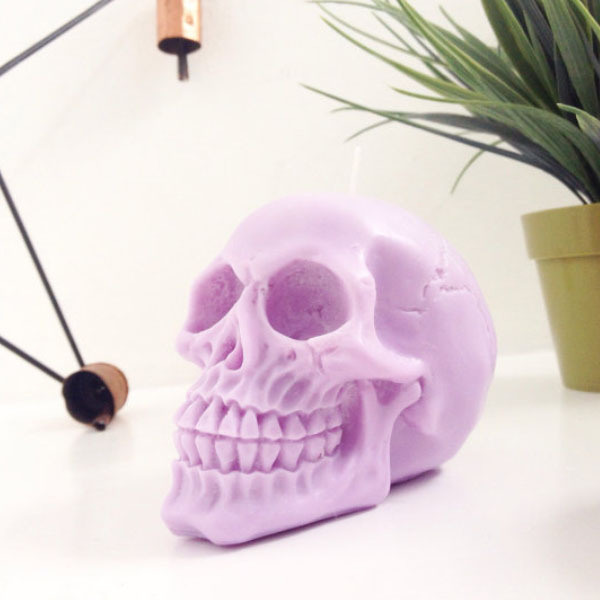 Emanate dreamy, gothic vibes with these unique Pastel Skull Candles. Each candle is hand poured, extremely detailed and made out of 100% soy wax. The light time is 10 – 12 hours. Make your own magical bath concoction with these Halloween Bath Bombs. Our Halloween bath bombs smell like cupcakes and pumpkin pie. 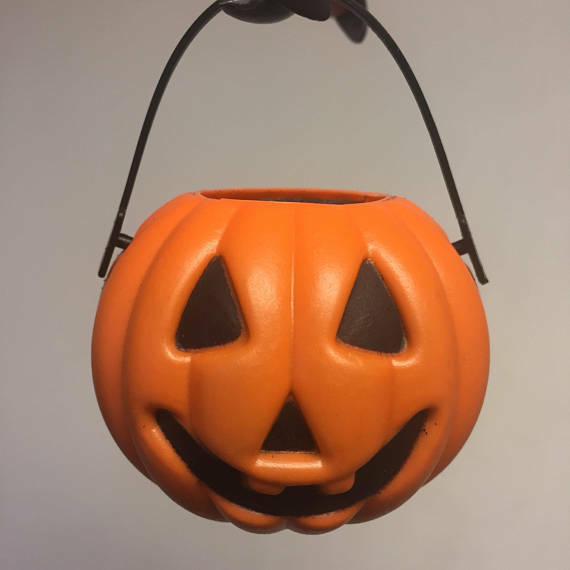 They’ll fizz and bubble as soon as they hit the water and come in a cute cauldron or Jack o’ Lantern container that you can use again and again. The same gift picking rules apply to Apollo Surprise Jewelry Box members. 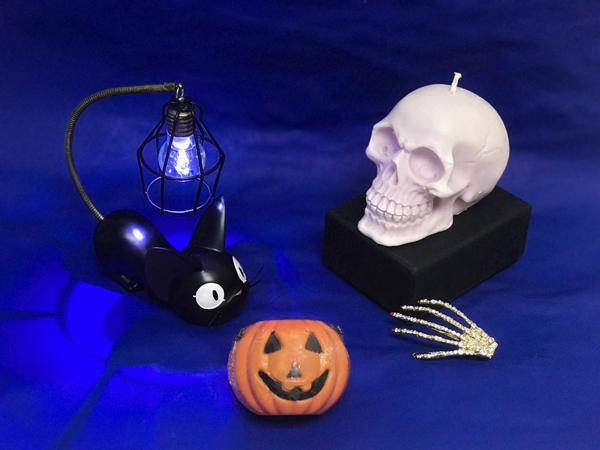 This month we’ll for sure add some Halloween themed jewelry to your box in addition to jewelry pieces and accessories that match the styles you chose on your survey sheet. 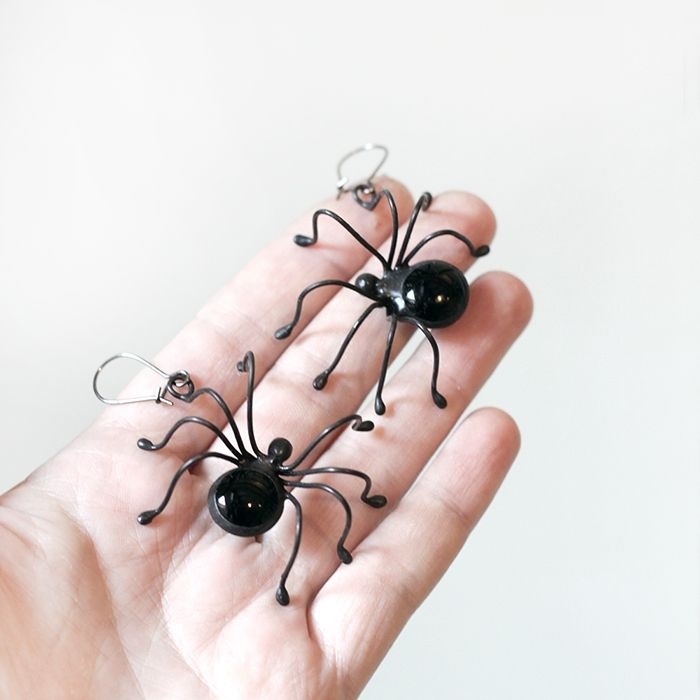 Below are a couple Halloween jewelry pieces and accessories you might get this month. Satisfy your feline fancy. 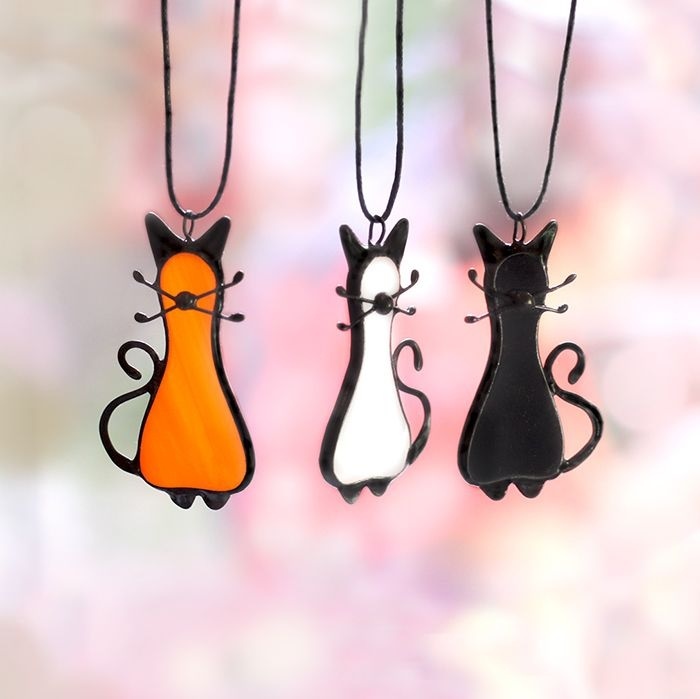 This eye-catching Cat Pendant necklace showcases a purr-fectly poised stained glass kitty dangling from a black leather cord. It’s an endearing gift for any cat lover. Bring out your dark and stylish side. 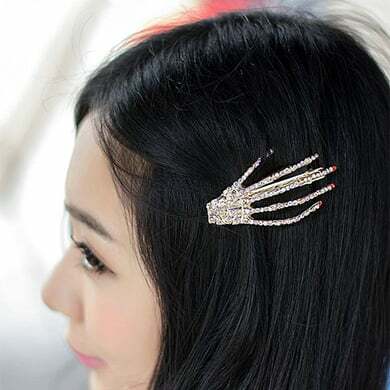 Add some Gothic glamour to your wardrobe with these crystal skeleton hand hair clips. Each set includes a perfect crystal manicure with your choice of black or scarlet painted nails. Get skulled up! 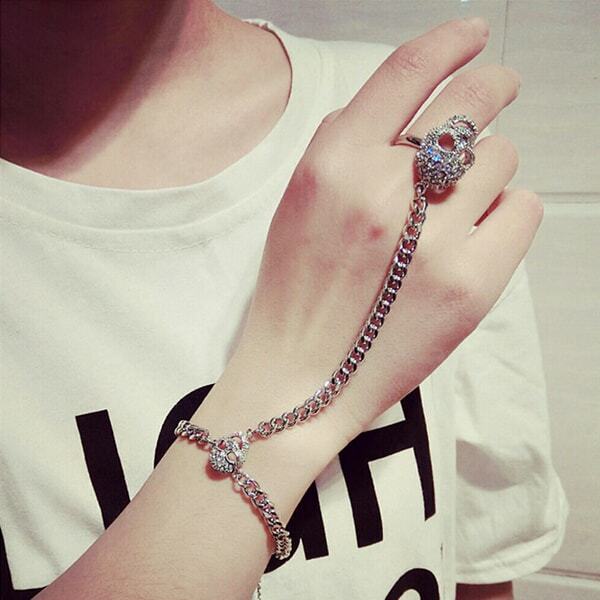 Our Skulls Ring Bracelet showcases two rhinestone covered skulls connected by a solid curb link chain. It’s a unique Gothic accessory to wear during the day or a night out. Is This Cool Holiday Twist Only for Halloween? Nope! 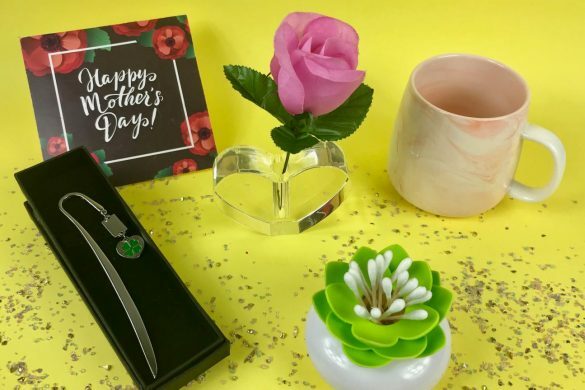 For every holiday Apollo Box is going to add holiday themed home decor, kitchen gadgets, accessories, jewelry pieces, etc. to every member’s box. 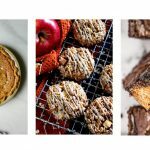 So get ready for fall themed picks, Christmas picks and more! If you’re fully stocked on decorations, accessories and gadgets for every major holiday, then collect your holiday themed Apollo Surprise picks and give them as gifts for upcoming birthdays and holidays. Any of our holiday themed surprises substitute as fun and timely holiday gifts and birthday gifts! 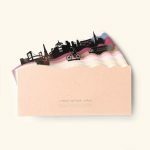 To have all your Apollo Surprise Box or Apollo Jewelry Surprise Box picks to be holiday themed, just leave a note in the “My Subscription” section. I’m not an Apollo Surprise Box or Apollo Jewelry Surprise Box But I Want In, How Do I Sign Up? 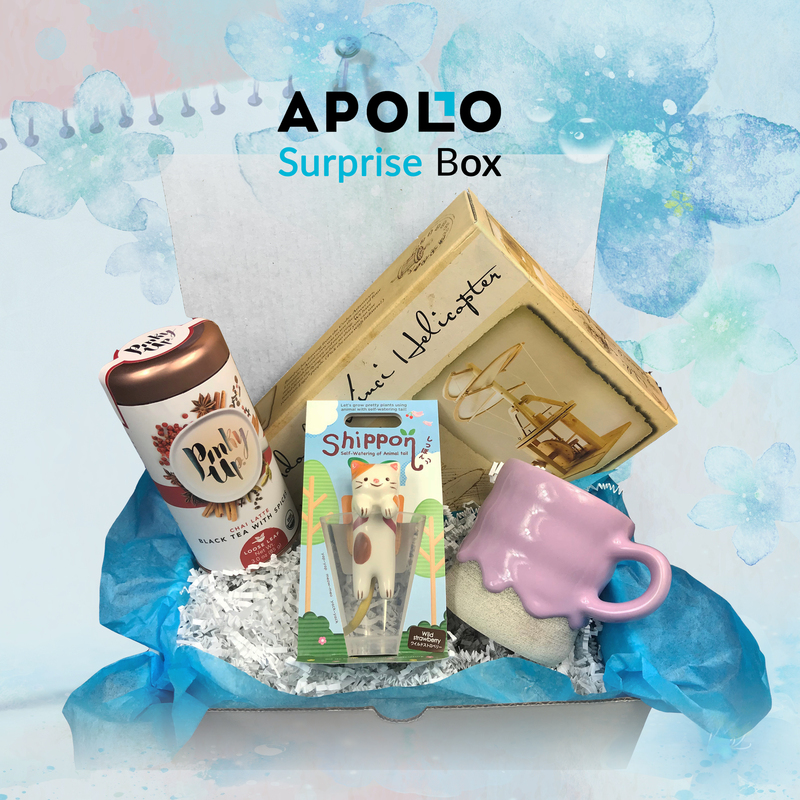 Click here to sign up for the Apollo Surprise Box and here to sign up for the Apollo Jewelry Surprise Box. 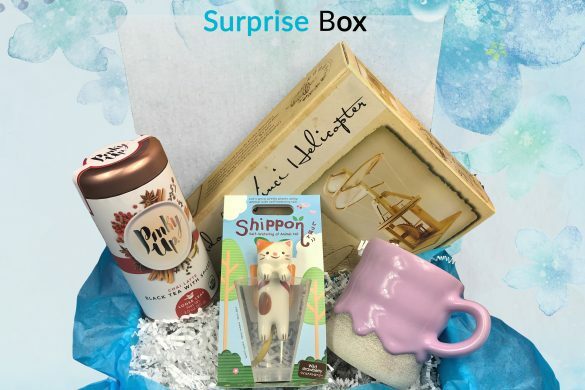 To see what other people have to say about Apollo Surprise Box, click here.